On April 19, teens, high school and college students will join together to share the importance of early childhood education and literacy at Red, White & Read. 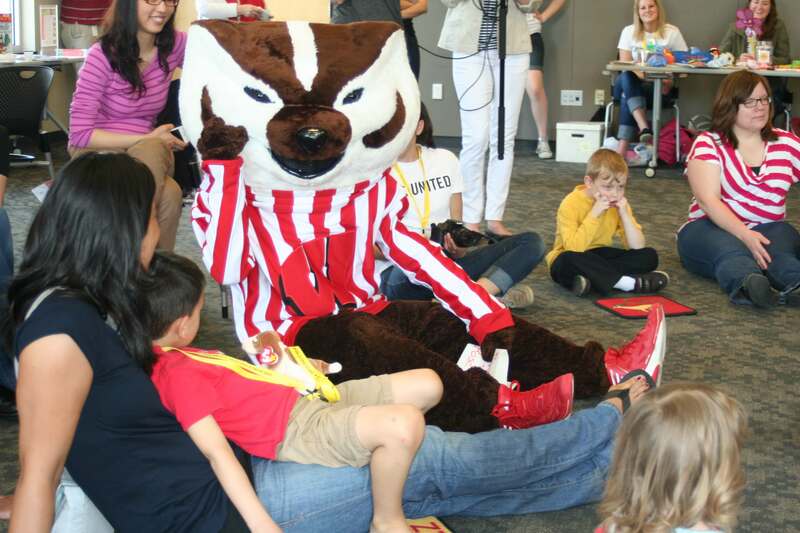 United Way of Dane County, UW-Student United Way, and Student Athletes Equally Supporting Others are coming together from 10:00am-1:00pm at the Madison Public Library- Central Branch located at 201 West Mifflin to show local kids that reading is fun! 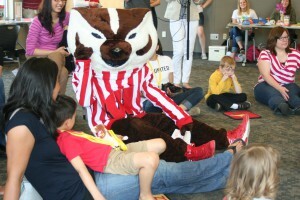 Everyone is invited to join Bucky Badger and other UW-Madison Athletes for an engaging day of reading. Additional activities at the library will include opportunities for parents, caregivers, and children to learn through play at Play and Learn, circle time and lots of interactive reading stations. This event is free and open to the public. These youth join millions of other young people around the world who are creating community change as part of Global Youth Service Day, the world’s largest and longest-running service event. United Way of Dane County has been part of this national youth volunteer movement since 2002 and has mobilized over 2,000 youth every year, during Global Youth Service Day, to get out and give back to the community. This year local youth volunteers will be focusing on projects which improve the community in the areas of Education, Safety and Health, identified through our community’s Agenda for Change. These projects include local neighborhood and park clean-ups, hanging/sorting donated clothing, cooking and serving food at a local community center, building bird feeders and so much more. Now it’s in 26th year, Global Youth Service Day is celebrated in more than 100 countries, and recognizes the positive impact that young people have on their communities 365 days a year. Organized by YSA (Youth Service America), a leader in the international youth service movement, Global Youth Service Day offers youth, ages 5 to 25, the resources and support to plan meaningful projects that improve their communities.